This is a Wimbledon Racecard from 1931. What`s interesting is that on the front cover you can see Mick`s owner Arundel Kempton listed as the Vice-Chairman of Wimbledon Race-Track. 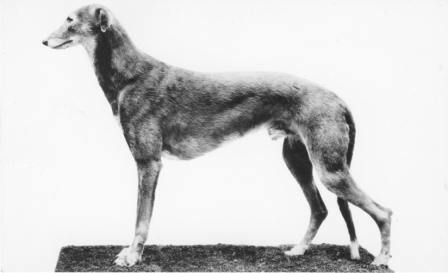 And also mentioned are the kennels at Hersham where Mick resided while racing. 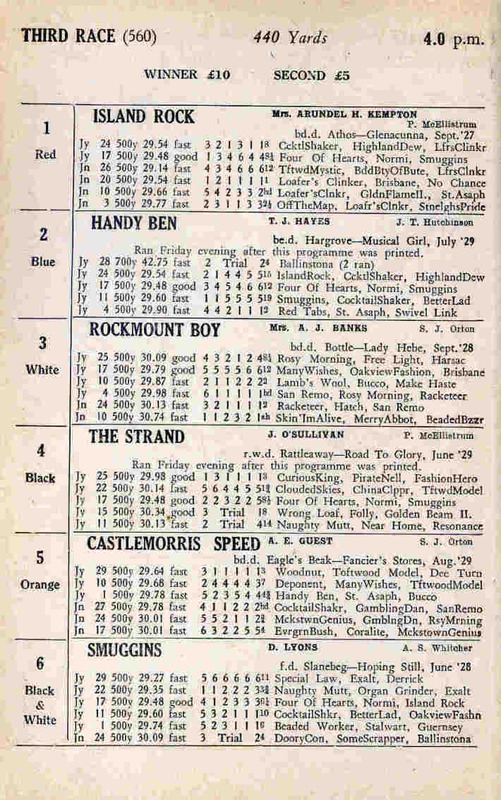 And on the this page you can see that Arundel`s wife Phyllis was the owner of Island Rock in Trap 1 of Race 3. And on this page Phyllis owned Fond Fashion in Trap 1 of Race 4. As you can see Mick The Miller`s trainer Sidney Orton also trained this dog.